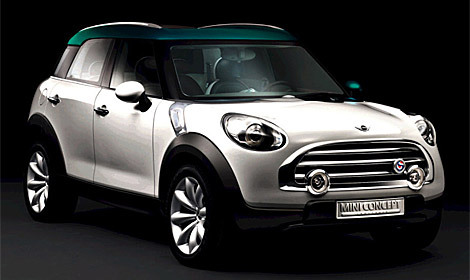 NorCal MINIS | Northern California's Premier MINI Cooper Club: A Bigger, Badder MINI Countryman? Four doors, four seats, and four wheel drive. Measuring six inches wider and taller than the Clubman, the new MINI Crossover Concept ($TBD) is the largest MINI to date, also offering a higher ride height and more interior space — all without losing the MINI's iconic styling. Since it's only in concept stage right now, there are no official engine details, but rest assured this will be one of the most fuel-friendly "SUV" you'll find.